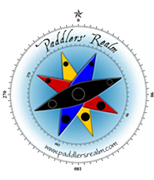 Paddlers’ Realm is the only kayak company in Whittier with Valley Sea Kayaks, SKUK/NDK Sea Kayaks and P&H Sea Kayaks. These are some of the best performing sea kayaks in the industry! Planning to Charter/ water taxi one or both ways? We’ll send you to the best! Great for day trip and or basecamp kayak. If you’re looking to get a kayak and want to “try before you buy”-which I definitely suggest doing, set aside a few hours to test any or all of these kayaks. We’ll put on drysuits and have a great time testing the performance and comfort of any or all of these kayaks. This not only assures safety but also includes pointers if needed to help you fully appreciate each kayak’s potential. Call, email or stop-in for pricing and selection!